Need a break after the Christmas rush? Call us or email to book a couple of nights away with your special someone . Paringa House Bed and Breakfast Stone Cottages are located within the grounds of the historic Paringa House homestead which is perched on the cliff overlooking the Paringa Bridge a few kilometres out of Renmark in South Australia. 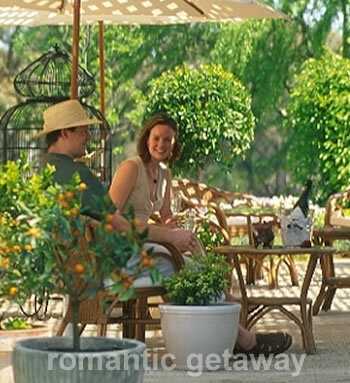 The five self contained cottage styled rooms provide an ideal romantic getaway for couples. Guests can enjoy tastefully decorated rooms all with spas and each room with it's own décor. You may like to do a spot of exploring around Renmark or the neighbouring towns. Enjoy a leisurely breakfast with a late checkout on your last morning. Trevor and Margaret Stoeckel are the hosts of Paringa House and invite you to enjoy a memorable getaway experience for perhaps your wedding night, anniversary, birthday or just some special time away from the rat race. Contact Margaret or Trevor today to make your reservation.